Our prize seeks to honour and reward those poets who can be considered heirs to human spirituality and culture, the grand chain of values, accumulated over millennia. We wish to honour those contemporary artists who have done the most to advance the representation and enrichment of forms of consciousness in harmony with the reflection and interpretation of the world today. 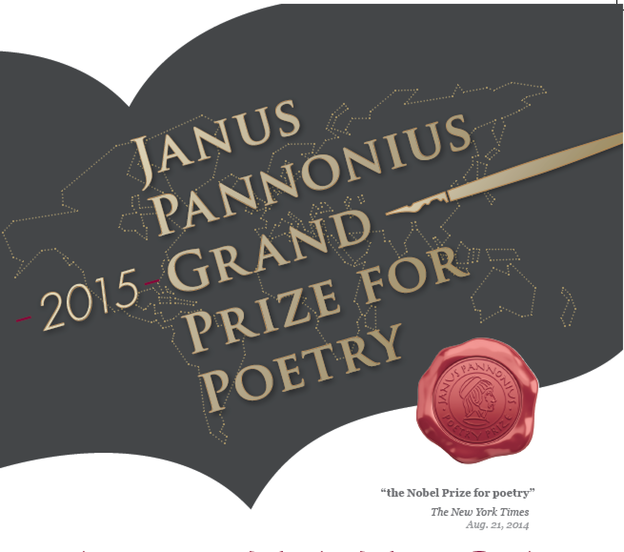 The prize has been named after Janus Pannonius, the first known and celebrated Hungarian poet. The prize awarded is 50,000 euros. The prize will be presented both in Italy and Hungary. In Milan on August 27 at 7pm there will be a reading of the Janus Pannonius laureates and translators at the Hungarian Pavilion of Expo Milano, sponsored by The Hungarian Pen Club and the Casa della Poesia Milano. The joint bilingual volume of Charles Bernstein and Giuseppe Conte, Tutto il whiskey in cielo/Tutto il meraviglioso in terra (All the Whiskey in Heaven/All the Wonder of the World) will also be presented at this time. This will followed by a concert by Béla Faragó on the Bogányi-piano. The award ceremony will take place on August 29 in Pécs, the birthplace of Janus Pannonius. The ceremony will take place in the Courtyard of the Episcopal Palace. Laudations will be given by Enikő Bollobás and Tomaso Kemény. In addition to the two poetry prizes, two translation prizes will also be presented there. At 7pm that same day new books with the Hungarian translations of Bernstein and Conte will be launched at the Ceremonial Hall of the National Széchényi Library in Budapest. Joined by their translators, the two laureates will read from their works during this event to be held in three languages, English, Italian, and Hungarian. 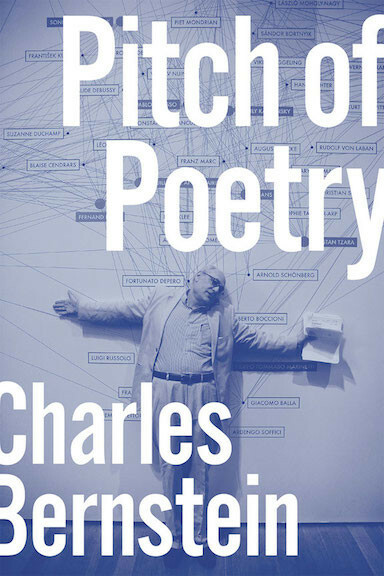 This is the second major international poetry prize for Bernstein in 2015. 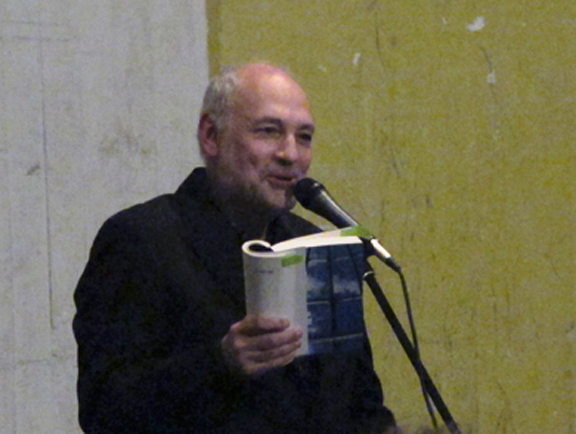 He also won the Münster International Poetry Prize. Poetry magazine published two poems by Conte in 1989, translated by Lawrence Venuti: one & two. 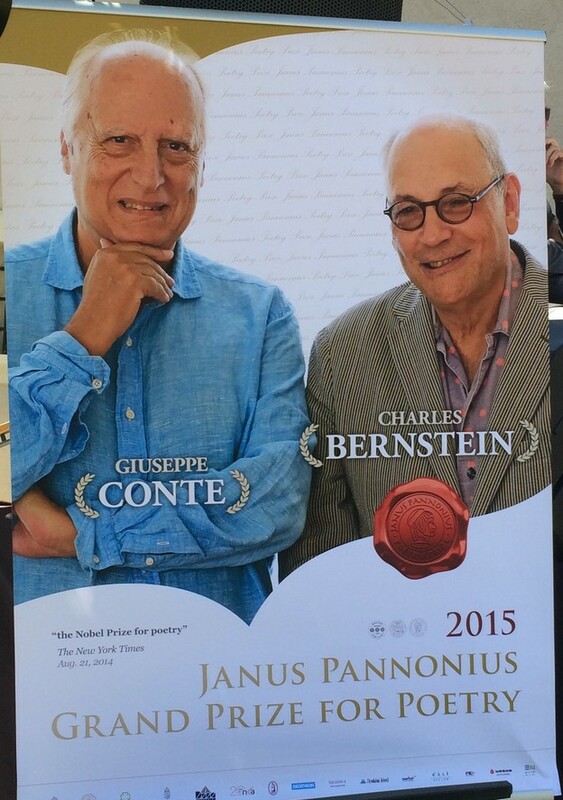 Finalists for the Janus Pannonius Grand Prize for Poetry have included Augusto de Campos, Knut Odegard, Justo Jorge Padrón, Yang Lian, Christian Bök, Leonard Cohen, Tom Raworth, Tadeusz Różewicz, Geoffrey Hill, Yevgeny Yevtushenko, and Cole Swensen.